Failure is merely a part of life. Just ask the MTA… Summer of Hell, am I right? Sorry, enough about moving metal boxes that only work sometimes. Failure is a monthly show at Bizarre Bushwick showcasing all types of queer performance and queer bodies, and this month is all about time. Fittingly, the show’s resident “technical consultant” is Daphne Sumtimez. Rounding out the lineup are drag and burlesque performers Lee Valone, Lucy Balls, and Vic Sin, in addition to resident performers Ms. Ter and La Llorona. If you’re like Maxine Waters and want to be reclaiming your time from bland straight white men who talk too much, this could be a great way to do it. Let’s face it, out of all the genres to get genuinely spooky, live theater is somehow trickier than others. Unless you’re going all-out haunted house, it can be hard to actually strike fear into the hearts of your audience. Unless, perhaps, you’re turning to more personal frights, like relationships gone wrong. The latest play by the duo Marina and Nicco puts a creative spin on the typical scary story on stage. Unpacking is about a couple who moves to a new place, and must literally unpack their boxes of stuff. 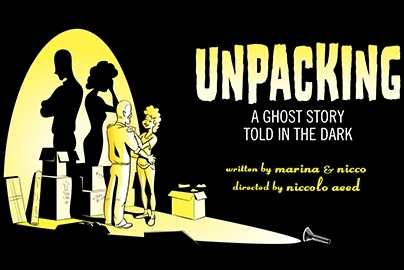 Along the way, a little more than that gets unpacked when a blackout strikes and they start seeing “the ghosts of all their past relationships.” In order to properly gauge this fearful situation, you’ll have to light the performers yourself using flashlights given to you at the start of the show. If it ends up reminding you too much of your own personal life’s shortcomings, I suppose you can always tilt your light away. It’s comedian Ruby McCollister’s world, and we’re just living in it. 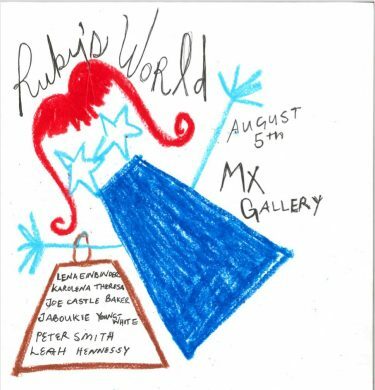 Or at least that’s what I imagine will happen upon stepping foot into her recurring show, appropriately titled Ruby’s World. Right now it’s Leo season, and she knows it. I don’t know much about astrology but I know Leos are usually loud and vivacious, so I doubt this show will be boring. 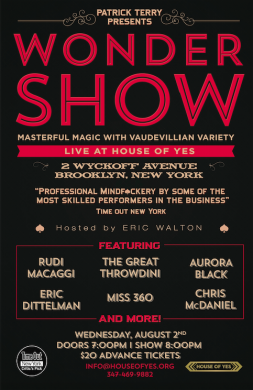 The lineup is decidedly not boring. Expect to see jokes and other weird comedic creations from heavenly beings like Jaboukie Young-White, Peter Smith, Lena Einbinder, Joe Castle Baker, Karolena Theresa, and Leah Victoria Hennessey. 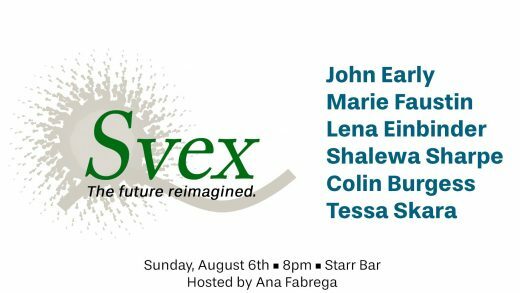 Ana Fabrega’s Sunday series of themed comedy shows continues yet again. This time, the conceit revolves around Svex, which is described as “a new healthcare technology company that promises to revolutionize healthcare, and provide better solutions for businesses and patients along the way.” The people assembled to tell you all about this, or maybe to just do regular stand-up sets, are John Early, Marie Faustin, Shalewa Sharpe, Lena Einbinder, Colin Burgess, and Tessa Skara, which are all people I’d trust to give an entertaining presentation about something. At the rate we’re going, I would probably prefer a comedian’s fake healthcare company than anything most of our legislators could come up with. After all, they say laughter is the best medicine, don’t they?